1. To withdraw your Cost-Plus Payment Claims, click View on the Cost Plus Payment Claim tile. 2. 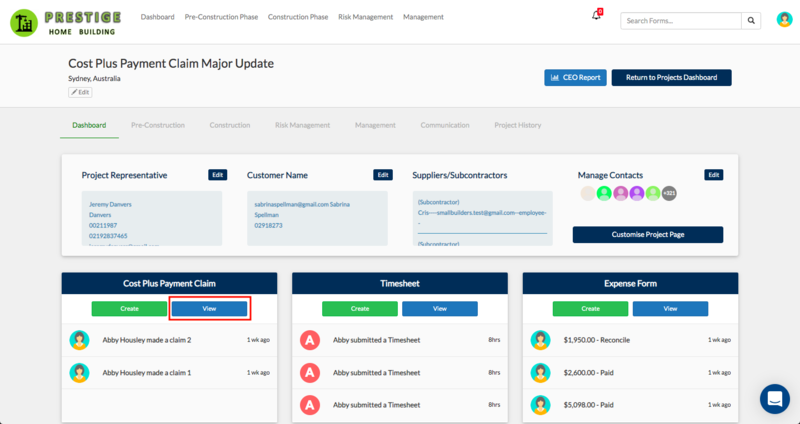 On the Payment Claim Dashboard, click Action > Withdraw on the Payment Claim tile. NOTE: You are only allowed to withdraw your last claim. 3. Click OK on the confirmation message to confirm permanent deletion of the claim. 4. 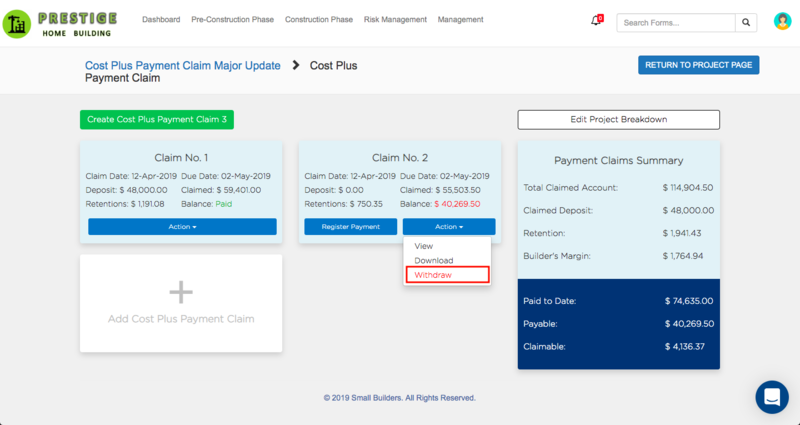 From your navigation bar, go to Construction Phase > Payment Claims > Cost Plus Payment Claim or type in 'Cost Plus Payment Claim' on the search bar located at the upper right corner of your portal. a. Unassessed claims are recorded under the Cost Plus Payment Schedule table. On both tables, click Withdraw on the claim that you want to withdraw. 5. Click OK on the confirmation message to confirm permanent deletion of the claim.